B.C. Excavating was the civil subcontractor to Criterion General for their design/build contract with Norcon, Inc. for its Maintenance Facilities Shop and storage yard. B.C. 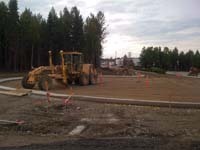 Excavating developed a 7 acre site between 64th and 68th avenue in Anchorage. As part of the project B.C. 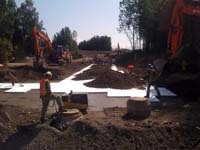 Excavating also improved 500 feet of A street including all utilities. 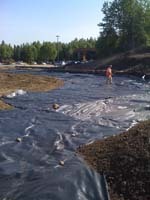 This project was developed next to existing wetlands with high water tables so storm water and erosion control were of great importance. 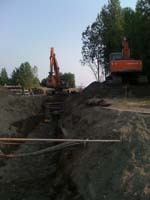 Work performed by B.C. 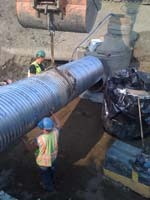 Excavating on this site included complete upgrade and improvements to A Street, export of 50,000 cubic yards of unusable material, import of 45,000 tons of NFS material, installation of 600 lf of water main, 600 lf of sewer main with four manholes, 750 lf of storm piping with seven manholes, construction of a half acre storm water retention pond, and the excavation/backfill/slab preparation for the commercial building.